A little over a month from now, thousands of writers will once again attempt the NaNoWriMo challenge. Once again, many will fall. NaNoWriMo is simple: write fifty thousand words in thirty days. An admirable goal, and a challenging one. For the past ten years, the success rate hovered between a high of 19% in 2009 and 2010 to just 8% last year. To put things in perspective, NaNoWriMo has the same attrition rate as selection for the US Navy SEALs, Air Force Pararescue, and Delta Force. NaNoWriMo winners are rightly considered among the writing elite. But if fifty thousand words in thirty days sounds too easy to you, take on the Pulp Speed challenge. The essence of pulp is speed. Short, punchy stories flying off the typewriter in prodigious volumes. 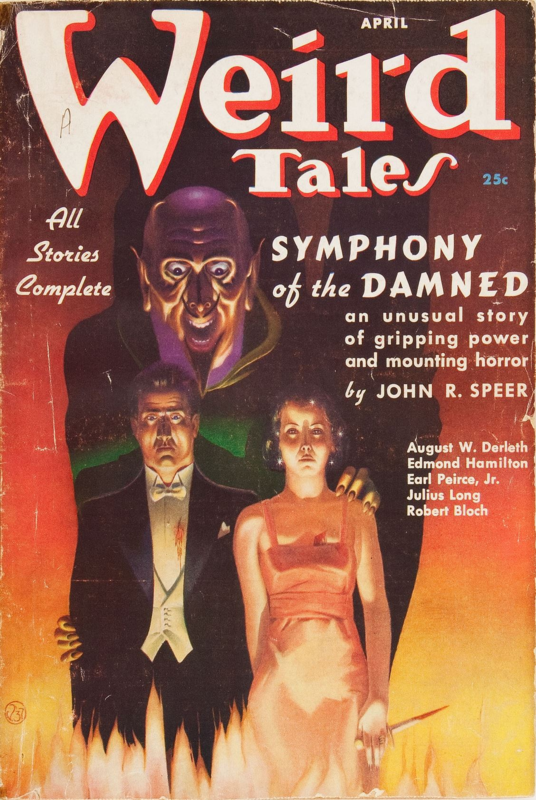 The great pulp masters were the most prolific writers of their day. Edgar Rice Burroughs wrote a hundred stories, H P Lovecraft had a hundred and eight. Robert E Howard wrote hundreds of poems and over three hundred stories in a fiction career that spanned just twelve years. William B Gibson wrote three hundred and twenty-five The Shadow novels alone. To be a successful pulp writer, you had to be prolific. To be prolific, you had to write at Pulp Speed. 1,200,000 words in a year. 100,000 words per month. And remember, that is about 3,400 words per day. If you can write 1,000 words average an hour, that’s 3.5 hours per day. 1,600,000 words per year. That’s about 135,000 words per month or about 4,500 words per day without a day off. 1,800,000 words per year. About 150,000 words per month. 5,000 words per day without missing a day. 2 million words and more per year. 170,000 words or so per month. About 5,500 words per day average. What is the Pulp Speed challenge? Write at no less than Pulp Speed One, and maintain it every day until the story is done. This is NaNoWriMo on steroids. This is how the pulp masters won their place in literary history. This is how today's indie writers earn success in the ever-expanding fiction marketplace. To be a pro, Pulp Speed isn't a challenge -- it's a job requirement. My current novel, KAGE NO OUJI, is well under way. Even with a full workload, I'm still able to meet the Pulp Speed word count day after day, week after week. If you want to write beside me, here are some pointers for the task ahead. If you're a pantser, this doesn't apply to you. Just show up and do the work. But if you need to plan your works, if you need some degree of organisation to be successful, you must prepare yourself to write. You don't want to waste precious time fumbling around, wondering what to write. When it's time to write, write. Before I began writing proper, I plotted out the entire story. Every chapter, every character, every key scene. For four days I did nothing but eat, breathe, drink and sleep KAGE NO OUJI. I organised them all in a reference document and keep it close to hand. Before I write, I take a few moments to mentally walk through the scenes I intend to write, consulting the plot as necessary. When it's go time, I'm not frozen at the keyboard staring the screen. I know what to write and how to write -- I just need to do it. If, like me, you have to juggle writing with a day job, it goes without saying that you need to make time to write. But beyond that, you need to be consistent with writing time. You need to train your brain to switch into writing mode when it's go time. You can't afford to be distracted by thoughts of work, lousy clients, what to have for dinner or whatever; you have to focus completely on your story. You need a regimen. In the morning, I wake up, have breakfast, and write. Over the day, during breaks at work, I write. During lunch, I write. After work, I write. Every block of time is carefully planned and scheduled, ensuring I will be able to focus exclusively on writing. I brook no interruptions and allow no distractions. From the start of every writing session, I am writing, writing, writing. It is a career, a regimen, a way of living. Through discipline, triumph. This is the way of the warrior, the athlete, the artist, the builder, the entrepreneur--and the writer. You can't write if you're sick or sleepy or stressed out to the breaking point. You can't sacrifice your health on the altar of pulp. Sure, you may make greater word count in the short run, but that won't matter if you burn out or work yourself into the ground. You can't write to the exclusion of everything else. Eat right. Sleep enough. Drink plenty of water. Without health you've got nothing. I make it a point to exercise every day when I have time: weightlifting, running, yoga, martial arts, bodyweight calisthenics. If you have family, don't neglect them too. Be sure to spend quality time with your loved ones. You cannot neglect them for the sake of Pulp Speed. 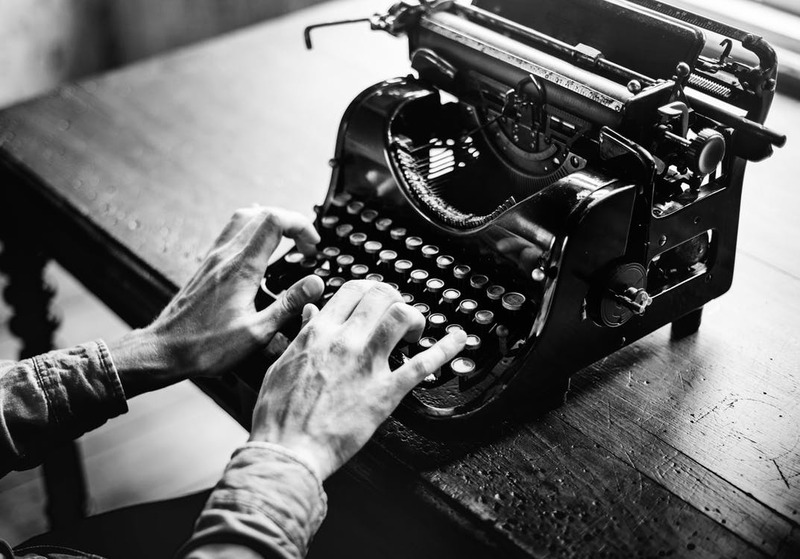 Your life is not, and cannot, be all about writing. You need to take time off to recharge your batteries, keep your body in shape, and stay in touch with your loved ones. Writing is a means to an end, not an end in itself. You cannot let writing become a demon that drives you into isolation, sickness, and an early grave. When writing at Pulp Speed, you will discover that every minute, every second is precious. Guard every moment jealously and fill them with words. If you're watching cat videos on YouTube, sharing clickbait on Facebook, wandering down the mirrored halls of tumblr and Twitter, you are not writing. If you don't write when you're supposed to be writing you're not going to make the word count. Save distractions for when you can take a break from writing. Enforce writing discipline. Refrain from using the Internet if you can, and if you must, set yourself a very short time limit. If you need something to focus on, put on energizing music, music that won't pull your attention from the page. Disconnect yourself from all means of social communication, or at least make it very difficult for people to casually contact you. If necessary, use apps that isolate you from all distractions, enabling you to write. No matter what happens, short of an absolute emergency, you must plant your rear end in your chair and write--and keep writing. Writing takes vast amounts of mental and creative energy. I jumped into writing at Pulp Speed right off the bat because I knew I could perform at such a level. I have regularly achieved outputs of over 3000 words a day when working on my previous stories. The challenge, for me, was to squeeze those words into a shorter time frame, and to keep writing daily. But if you're not already used to writing torrents of words, you will burn out and fail. If you're not ready yet, build up your writing stamina. Get used to writing something, anything, every day. Take note of your average daily output. Then, week by week, steadily bump it higher and higher and higher. Ramp it up steadily, adding maybe a few hundred words every week, and the next thing you know, you're writing at Pulp Speed. With these five tips, I built myself into a writer capable of writing at Pulp Speed. Production of KAGE NO OUJI began on the 1st of September. I wrote the first proper word of the story on the 5th. Today, on the 28th of September, the novel stands at 73313 words. Daily average of 3187 words. Pulp Speed One -- without taking into account the extra words I threw into my blog. Fifty thousand words in thirty days is no small feat. But if you think that's too light for you, aim higher. Aim for Pulp Speed. If you would like to support my work, do check out my Dragon Award-nominated novel NO GODS, ONLY DAIMONS on Amazon. What a wonderful idea! I did this, sort of. I'm fractionally below Pulp One--using the Dean Wesley Smith scale. 81,000 words in November. I'm a bit below pace this month so far, but my plan is to make a million words this year. Your suggestions above are spot on. You get it. I'll be following your journey, and supporting as I can. Your book is on the way to me already.